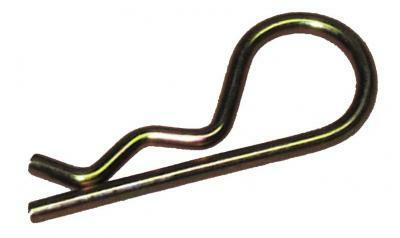 5/8" Hitch Pin Clip, w/ 11/64" diameter, 2/pkg. 5/8" w/2-7/8" usable length, pkg. 1/2" w/2-3/8" usable length, pkg. 1/2" Hitch Pin Clip, w/5/32" diameter, 2/pkg. 5/8" w/4-3/4" usable length, pkg. 5/8" w/2-5/8" usable length, pkg.